There are more than 13 million Filipinos abroad and a lot of them send money to the Philippines regularly. In 2014, OFWs (Overseas Filipino Workers) and migrants sent a total of $26 Billion (yes billion dollars) in remittances to the Philippines. This amount accounts for almost 10 percent of the Philippines GDP. If you are sending money (especially regularly) to the Philippines, it is just wise to figure out where you can save the most money. It is usually cheaper to send in person (at their branch office) than online. The fees usually depend on how much money you are sending to the Philippines. There is an option as to whether your family in the Philippines will receive money in US dollars (USD) or Philippine Peso (Php). Fees alone shouldn’t be your only criteria when choosing a remittance company. 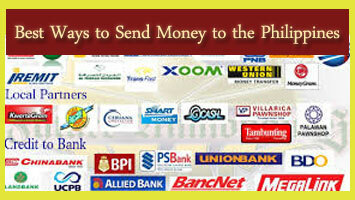 The companies have their own exchange rates when you are sending money to the Philippines. Find out their exchange rates so you can compare. Exchange rates also change day to day. Sending money with cash and from your bank account is usually cheaper than sending money using credit card or debit card/ interac. When sending money online, you have to sign up at the remittance company website. You will need your bank account number or credit card number. 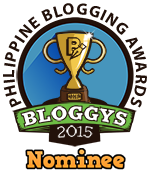 You might also need the full name of the recipient plus their Philippine bank information. ( Fee = from $7 to $52 based on the amount of remittance). If you are sending more than 10,000 USD, Metrobank adds 0.50% of the transaction amount charge/commission. If you are sending more than 20,000, PNB adds a 0.25% of the transaction amount charge/commission. depending on your location, there might be a Philippine National Bank Branch or Metrobank Branch in your area. This way, you might feel safer because both banks are well established in the Philippines. You can send money through their foreign office and your family and relatives can get the money from their bank account in the Philippines. They also have the option to deposit to other bank accounts in the Philippines, or deliver it door to door. ( Fee = $0 to 1.4% of the transaction amount). If you are sending more than 1,000 dollars, your fee becomes 1.1% ~1.4% of the money you are sending. The $0 dollar fee is currently being offered to people sending from bank (foreign bank) to bank (BPI, Metrobank, BDO, PNB, UPCB, RCBC, LBP, Allied Bank) through the western union website. In this way, they make money with their exchange rate. Western Union will need a valid ID from your recipient plus you will get a 10 digit code to give your recipient in the Philippines. Create a RemitHome account, link your bank account, and then send money. You can send directly to your family’s bank, they can pick up the money at certain pick up locations, or the money can be delivered to the recipient. ( Fee = $4.99 –from bank account and $9.99- from debit or credit). With their fee of $4.99/ $9.99, you can send up to $2,999. You can send up to $2,999 every 30 days and $9,999 within 180 days. If you need to send more than $2,999 you can supply additional information that will guarantee that the money will get to the recipient and then you can send $6,000 for 30 days and $19,500 for 180 days. Your family or friend will get their money in minutes if the receiving office is open in the Philippines. You can only have one xoom account. Note: I have read some complaints from consumeraffairs.com saying that Xoom suddenly cancels the transaction especially if they think that you are sending to non-friend / non-family. Some of them claim that they had trouble and recipient doesn’t get the money in time. (Fee = $3.99 when sending 0-$50; $13.99 when sending $600-$1000). You can look at their fee calculator if you wish to send more than $1000. You can send money online (your own bank to Philippine bank and other locations, debit card, credit card) or through their agent location. Transfast claims to have the highest exchange rate, and they charge starting at $4.99 for transfer fees. Your money can be sent to BDO, China Bank, Land Bank, PNB and RCBC are received in real time, including holidays. Pick Up Locations: Banco De Oro, SM Forex or SM Mall, China Bank or any of the following pawnshops: Palawan, Prime Asia, Tambunting, Villarica, M Lhuillier, Cebuana and GCASH REMIT. They also have door to door services and cash card option for recipients. *Note: I have read from citysearch.com forum that some people have trouble with Trans Fast screening process, and having delays when sending and receiving money because of this. if you are sending a lot of money, it might be a good idea to ask your local bank in the country you are in. They may have a higher fee, but you can send a larger amount, and you have more peace of mind. I checked RBC ( Royal Bank of Canada – my bank here in Canada) and it seems that they have lowered their remittance fee to CAD$13.50 when sending up to $2500.